We stand behind all our work! We will schedule a meeting with you to discuss your homebuilding schedule, likes, dislikes, current lifestyle needs, future needs and your vision about your new home. 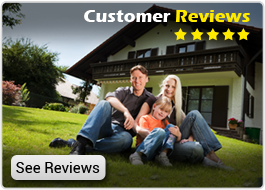 Accordingly, our team will create a customized plan for your home. Alternatively, we can help you customize an already existing home plan to fit into your current and future needs and vision. We will even create an artist rendering of your future home to show you a virtual picture of what your home will look like even before the construction commences. We will establish a realistic budget to inform you beforehand what it will cost to construct your dream home. Sparks Construction believes in using the best quality raw materials that are environmental-friendly. We will help you select the right materials keeping in mind the weather and environment conditions existing in Florida. We will also provide you with a timeline for the project, so that you know exactly when each part of your custom home will be completed. At Sparks, we strongly believe in keeping our clients well-informed. We keep the clients updated about the schedule, explain each and every process and why a particular material was used. 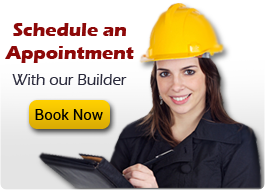 Sparks Construction will get all the relevant permits and approvals to reduce your burden of running around for them. Our construction team will then begin the construction of your custom home. 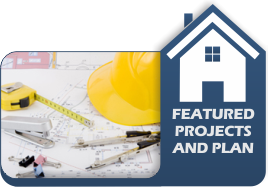 Our subcontractors are our construction partners and are experienced in homebuilding. They will be supervised by our in-house construction leaders at each step of the process. Appropriate inspections are made during electrical, mechanical and plumbing installations. Communication is paramount to Sparks Construction. We are just a phone call away to address your queries and concerns before, during and after your dream house is constructed. We also hold regular meetings to give you an update on the progress of the project. Once your custom home is completed, we will accompany you for a tour around the home for an inspection to ensure all details have been implemented and finished in accordance with your wishes Sparks Construction’s stringent building standards. We are always available for after-construction maintenance and fix-ups job. Once you are satisfied, we will clean the construction site carefully to ensure that no material or debris is left behind, and you will be able to move into your dream home immediately. Counties we serve include Columbia, Gilchrist, Lafayette, Madison, Hamilton, Baker, Alachua, Suwannee. Cities we serve include Live Oak, Lake City, MacClenny, Gainesville, High Springs, Fort White, Old Town, O’Brien and surrounding areas. We look forward to helping you make your dream home a reality or helping you with your restoration & renovation needs in North Florida. Please Call us at 386.755.9314 or fill out an online inquiry form and someone shall get back to you promptly!